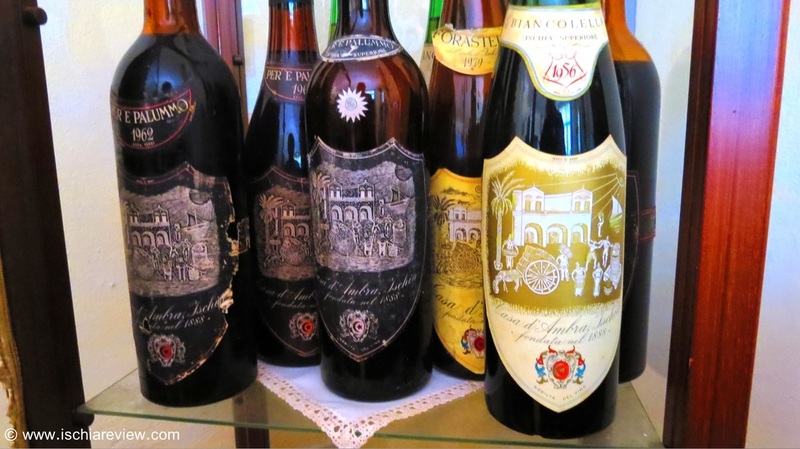 Guide to the best wines and vineyards of Ischia both today and also in the past. We explain the origins of the wine growing culture in Ischia and list out the grape varieties that are still used to produce the wines in modern times. Ischia is an island that offers so much to visitors and the people lucky enough to live there, it’s world famous for its natural thermal spas, its sandy beaches, its warm climate and for its iconic sights such as Castello Aragonese, but it is for the quality of its wine that Ischia has been renowned for thousands of years. Viniculture is an activity at the very heart of Ischian life and dates back to ancient times when the island was discovered by the Greek civilization known as “The Euboeans” in around 700BC. Ischia was later colonized by the Romans who named the island “Enaria”, meaning “Land of Wine”, and the Island has been perfecting the art ever since with its fantastic wines. The mild Mediterranean climate, the volcanic soil, the tufa stone and the sea breeze have always favoured the production of high quality wines in Ischia, which has led to them being exported throughout the world, representing one of the Island’s most important economic resources since ancient times. 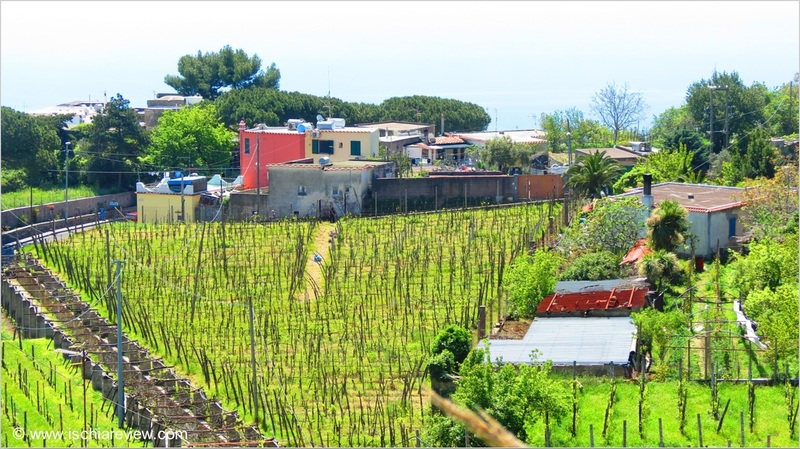 Ischia has its own indigenous and high-quality grapes and the vineyards can be found mostly around the hilly & mountainous areas such as on the slopes of Mount Epomeo with its steep terraces that gradually narrow as they reach the sea. 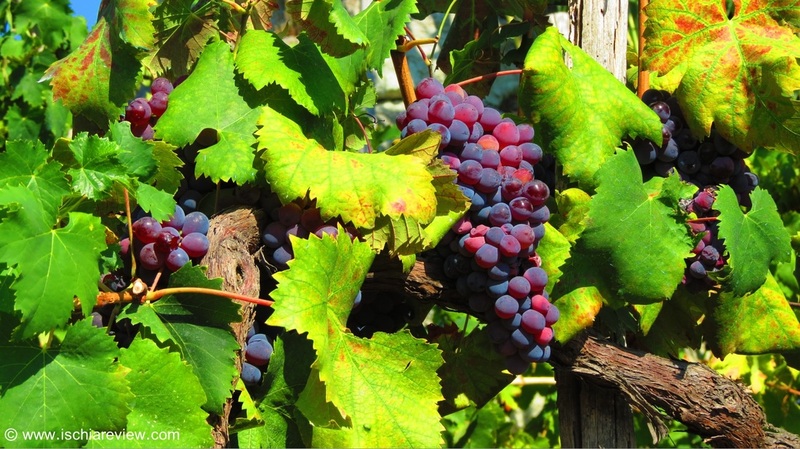 The most famous Ischian grapes used in the production of wine are the “Biancolella” and the “Forastera” for white wines, and the “Guarnaccia” and the “Piedirosso” (translates as “redfoot” but known in local dialect as “Per’ e Palumm” or “La Zampa di Piccione” which translates as “The Pigeon’s Foot” due to its appearance) for red wines. The wine “Ischia Bianco” (Ischia White) was the first wine on the region of Campania to be given the DOC label in 1966. 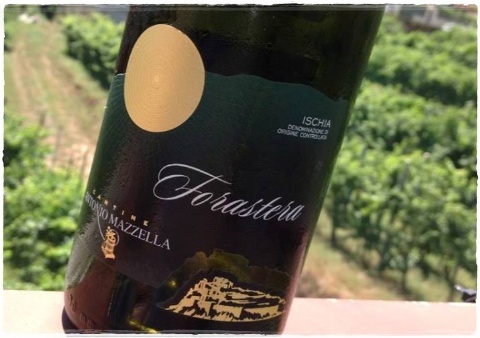 It is produced from a mixture of grapes, principally the Forastera and the Biancolella to which other white grapes are added (but no more than a maximum 15%). The wine is characterized by its “Golden-Straw” colour, delicate aroma, medium-bodied flavour and also by its light fruity and floral aftertaste. The alcohol level is 10.5% (with an alcohol level of 11.5% it becomes known as “Superiore”). This wine is ideal to accompany fish dishes, pasta with seafood, cheeses, or to be used as an aperitif. The Red of Ischia is produced with the Piedirosso and Guarnaccia grapes and with a minimal percentage of other red grapes. It’s characterized by its ruby red colour, an intensely fruity aroma and a medium bodied dry taste. Ideal to accompany meat, game or soups. Biancolella is produced with at least 85% of the Biancolella grape. It has a straw-yellow colour with green tints. The aroma is fruity and floral, it has a dry taste and a delicate after-taste of almonds. The alcohol level is a minimum of 10.5%. Ideal to accompany fish dishes, seafood and light cheeses. Forastera is produced with 85% of the Forastera grape. It has a straw-yellow colour. The aroma is viny and slightly floral. It has a soft, dry taste. The minimum alcohol level is 10.5%. Ideal to accompany fish-based dishes and fresh cheeses. The wine Per’ e Palumm is produced with 85% of the Piedirosso grape. It has an intense ruby red colour. The aroma is viny and delicate, medium bodied with a dry taste. The minimum alcohol level is 11%. Ideal to accompany the traditional rabbit dish “all’ischitana”, grilled or roast meats and mature cheeses. Per’ e Palumm Passito is a Passito/dessert wine produced with the Piedirosso grape. It has a red-brick colour. The aroma is delicate, with a dry and fresh taste. It has an alcohol level of 14.5%. Ideal to accompany desserts and sweets. 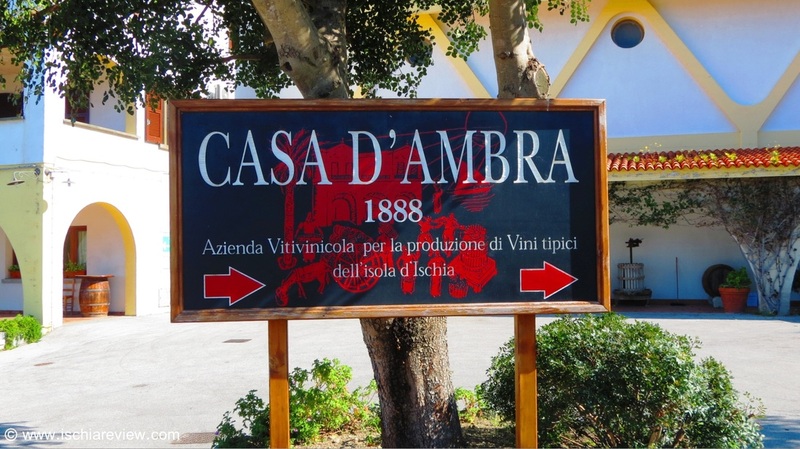 So whether you're visiting Ischia to enjoy the sunny weather, the beaches, the thermal spas or many of the other activities you can enjoy with a visit here, why not try some of the fantastic wines you've just read about so that at least in some small way your holiday can continue when you return home. Below is a list of some of the most important vineyards in Ischia, some of which will allow you to visit and to taste their wines. We also offer a range of wine-tasting and vineyard tours, details of which can be found via the link below.